Petr Cech has been the preferred choice for the Cup and European competitions this term ever since Bernd Leno took up the league duties. The veteran is set to feature in goal against Carlo Ancelotti's side. In the defence, Sokratis should return to the mix after missing the weekend league game through domestic suspension. He should partner Laurent Koscielny and Nacho Monreal in a three-man backline. Similarly, Ainsley Maitland-Niles and Sead Kolasinac are set to return in the right and left wing-back positions, but the latter may need to show more responsibility in the defensive scale with Napoli likely to attack from the off. In the midfield, Lucas Torreira is very much certain to start and we are fancying him to partner Granit Xhaka, who made his injury comeback during the hard-fought away win at Watford. 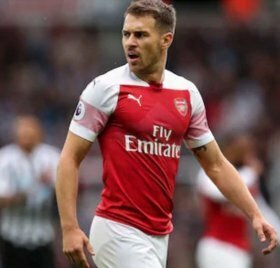 In the attack front, Aaron Ramsey is likely to slot into the number 10 role and we are anticipating a two-striker partnership of Alexandre Lacazette and Pierre-Emerick Aubameyang ahead of the Welshman.